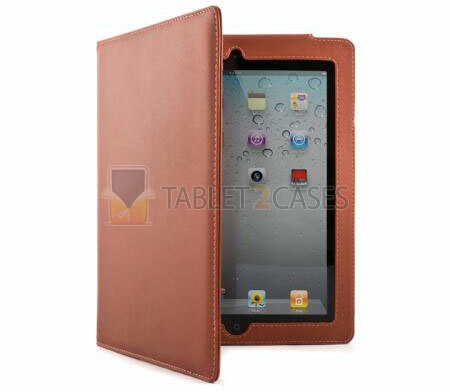 Proporta Brunswick England Case is a book tablet case for iPad 2 which also works as a tablet stand case . The case is crafted out of the finest quality leather and each cover is personally checked prior to shipping to ensure the highest possible quality. 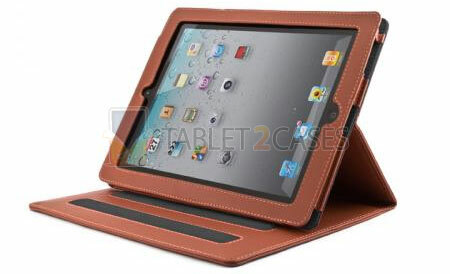 The new case features a sturdy constriction, offering the iPad 2 great protection from bumps and shocks. 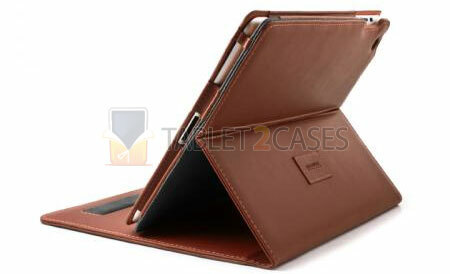 The case can be folded into a viewing stand, offering several angles perfect for typing and viewing multimedia. All ports and buttons can be freely accessed with the case on the pad. The case comes with its own cleaning cloth and cleaning instructions to retain the good looks for a long time. Buyers can chose from 3 colors - black, brown and cranberry.